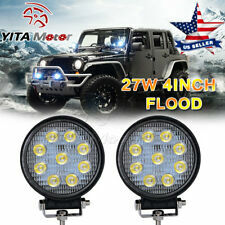 4PCS 6inch Led Work Light Bar Flood Spot 400W Reserve Driving ATV 4WD Lamps 7"
2 x 10--2323 SMD LED Lights. Partsam product always inspected every single light bulbs before sending to you, to ensure you have the best quality product, and the best value. √ High performance LED, long lifespan, superior illumination & stability. Power: 72W. 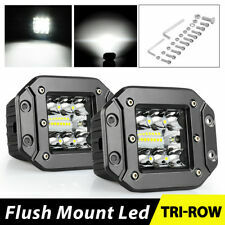 LED: 24pcs 3W (CREE LED). Beam: 60° Flood beam 30° Spot beam Combo. Forklift, trains, bus, boat, tanks. special vehicle(fire engine, police cars, rescue vehicle, communication vehicle, military command vehicle). Power: 72W. LED: 24pcs 3W (CREE LED). Beam: 60° Flood beam. special vehicle(fire engine, police cars, rescue vehicle, communication vehicle, military command vehicle). Test the light to make sure it can work properly. Compatible Female Socket: 9005 9006 HB3 HB4 9012. Male Socket Connector. Pre-Wired Male socket. 2 pcs 9005/9006 MaleConnector. Plug-in Light Bulb Extension. Could be use to create extra light outlet. Note before ordering. 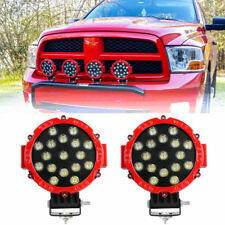 SET UNIVERSAL STYLE FOG DRIVING LIGHT TRUCK CAR WIRING KIT. Pre-assembled wiring harness for easy installation. Universal Fit For Cars, Vans, Pickup Trucks, SUVs. DRIVING/Fog LIGHTS. Two lights. Complete Kit Includes. Power: 72W. LED: 24pcs 3W (CREE LED). Beam:Spot Beam (30 degree). Test the light to make sure it can work properly. (Red line is positive, black line is negative.). Make sure the light is installed steadily, and then start the power. Power: 120W. Beam: Spot Flood/Combo. LED: 40pcs 3W (Bridgelux LED). Suitable vertical fins design for maximum heat dissipation. Lens material: PC. Forklift, trains, bus, boat, tanks. special vehicle(fire engine, police cars, rescue vehicle, communication vehicle, military command vehicle). 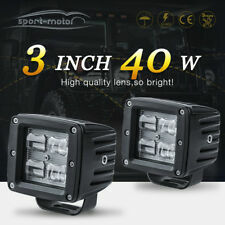 Universal Bumper Driving Fog Light Lamp with Switch and Harness. 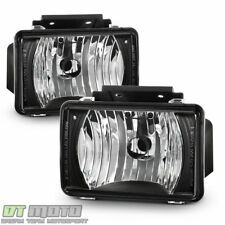 • 2 x fog lights/ Glass lens. Professional installation required. Does not include installation instructions. • Mounting hardware. 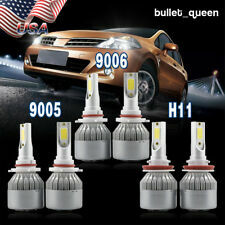 From what I can find this bulb is used on many of the following vehicles Chevrolet Colorado EXT CAB 2004 ,2005 ,2006 ,2007 ,2008 ,2009 ,2010 ,2011 ,2012. Chevrolet Colorado Crew Cab 2004 ,2005 ,2006 ,2007 ,2008 ,2009 ,2010 ,2011 ,2012. RECTANGLE Driving/Fog Lights. Pre-assembled wiring harness with push switch for easy installation with relay. 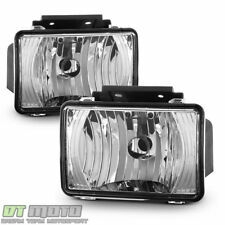 SAE approved fog light. Die cast aluminum housing. Mounting Brackets. Powerful H3 12 V DC 55 Watts Bulb. 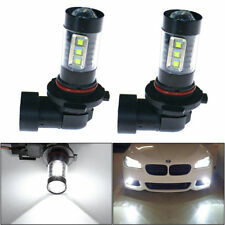 SET UNIVERSAL STYLE FOG DRIVING LIGHT TRUCK CAR WIRING KIT. Professional installation required. Universal fit, will fit most Applications. 4 1/3" In L x 2.6" W x 1.6 H In.